The heavy-duty body of this concrete waste container ensures many years of high volume usage even under the most harsh weather conditions. 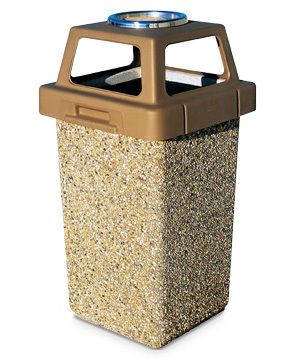 An industry standard for multi-access waste management, this 30 gallon capacity concrete waste container has the convenience of a four-way lid to help promote garbage disposal from all sides. 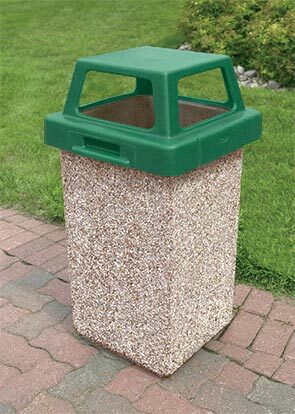 Enhance the entranceways of your facility with this concrete waste container. Equipped with a classic concrete base along with the solid steel-reinforced construction this container will easily withstand the toughest environments anywhere in the world. Security cable, retainer ring, and self leveling feet come standard.